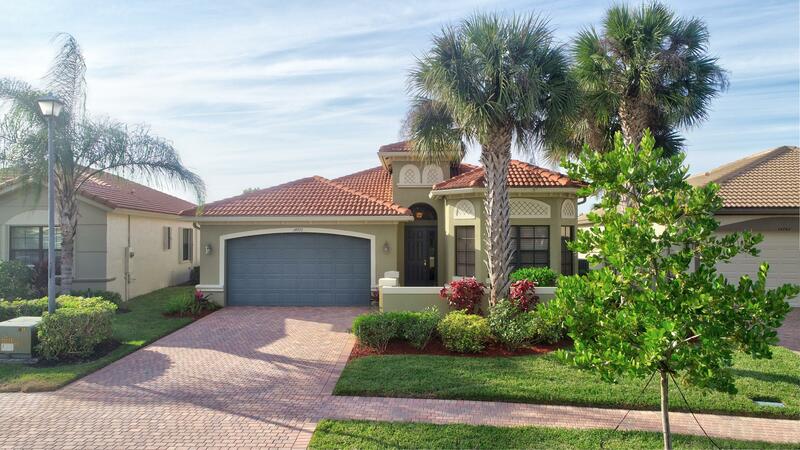 All FOUR SEASONS homes currently listed for sale in Delray Beach as of 04/21/2019 are shown below. You can change the search criteria at any time by pressing the 'Change Search' button below. "Water everywhere! Beautiful 1 story 3 bdrm 2 1/2 bath Sauvignon model w/the most gorgeous lake views in all of Four Seasons! House is directly in front of the fountain & conveniently located across from the clubhouse/gym. Neutral tile in all main living rooms, AC 2017, kitchen features 42'' antique white cabinets, granite counter tops & over sized stainless sink & pantry; master features sitting area, door leading to screened in patio, fitted closets & over sized bathroom. Sprinklers fed from lake; water bills will be very low! Screened in patio & extended pavers designed to give an amazing view of the lake! Four Seasons is a manned guard gated community w/an active clubhouse. Beautiful pool, spa, tennis, pickleball, card rooms & state of the art fitness center! Don't miss this opportunity"